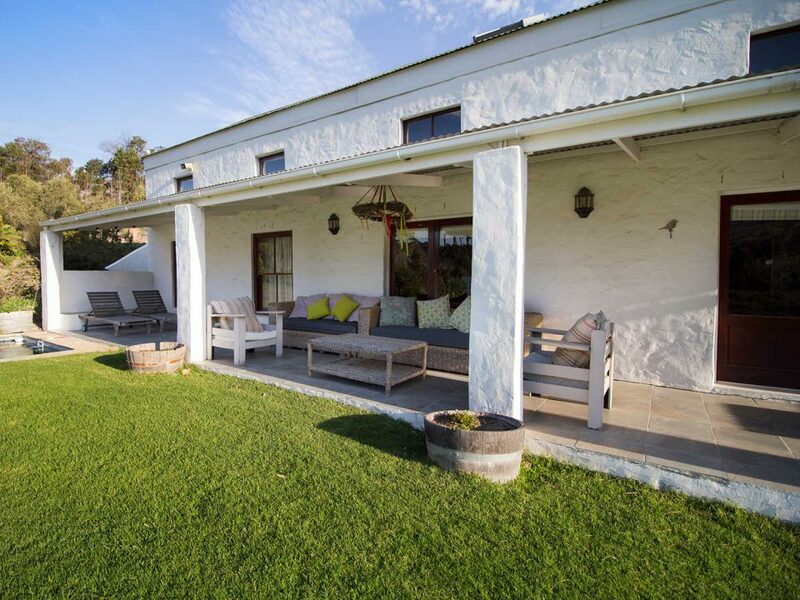 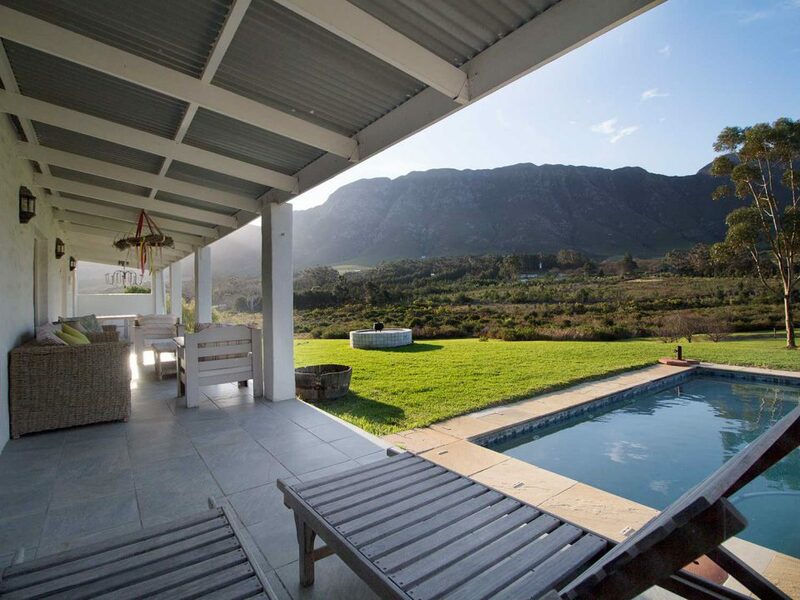 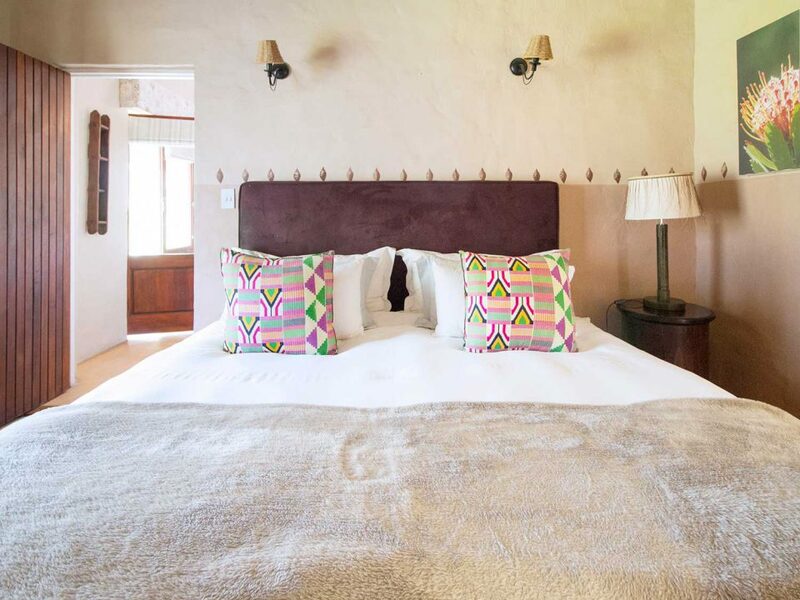 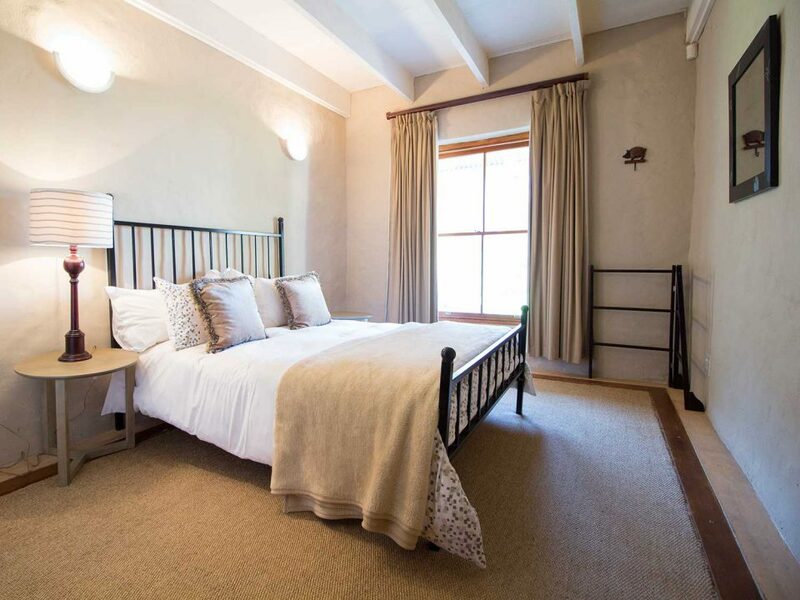 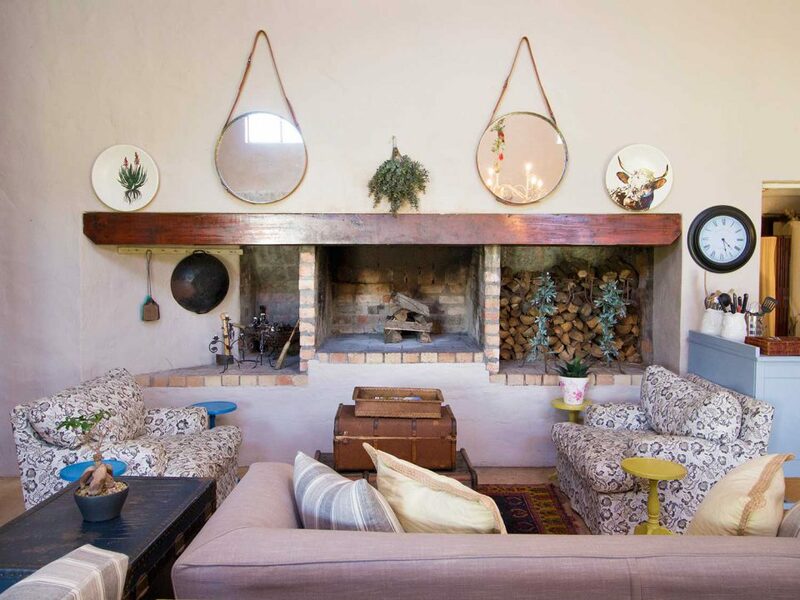 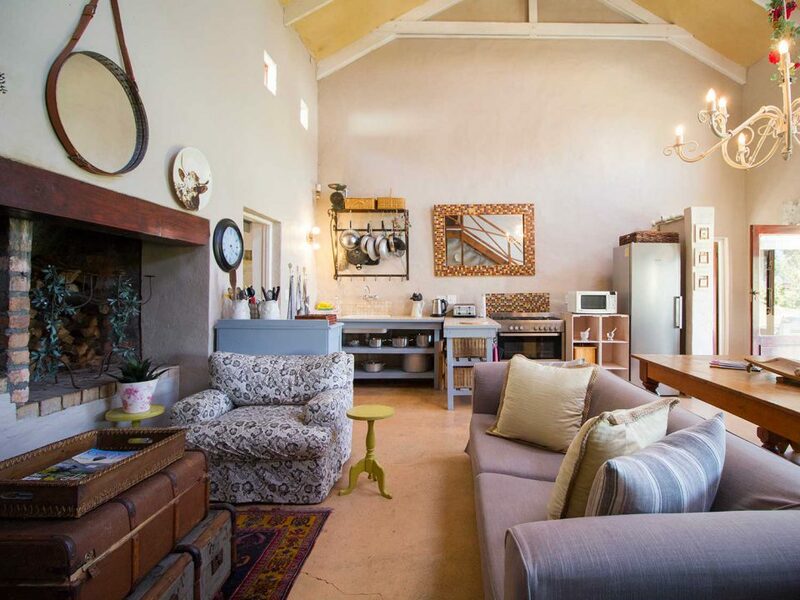 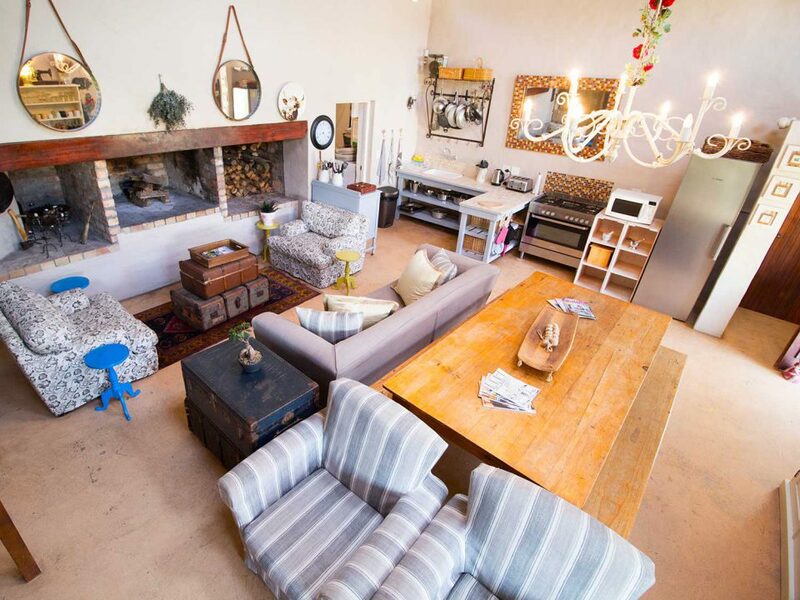 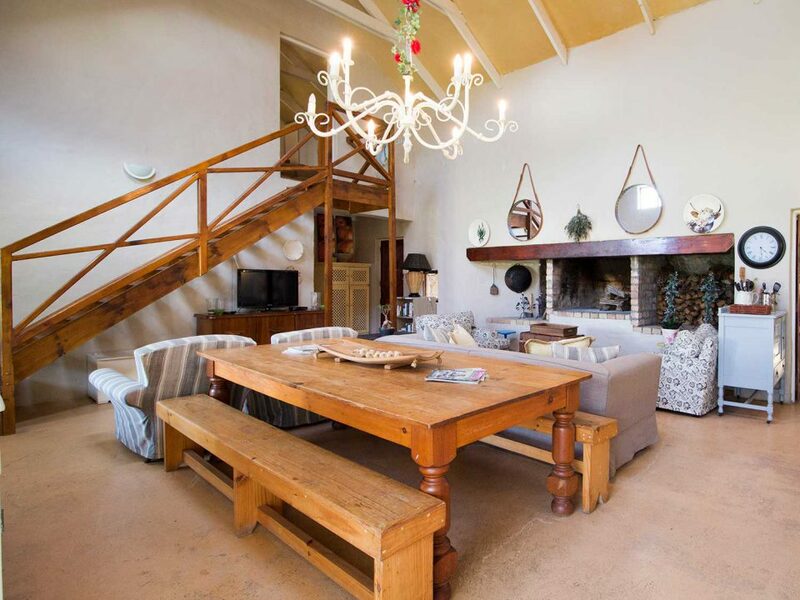 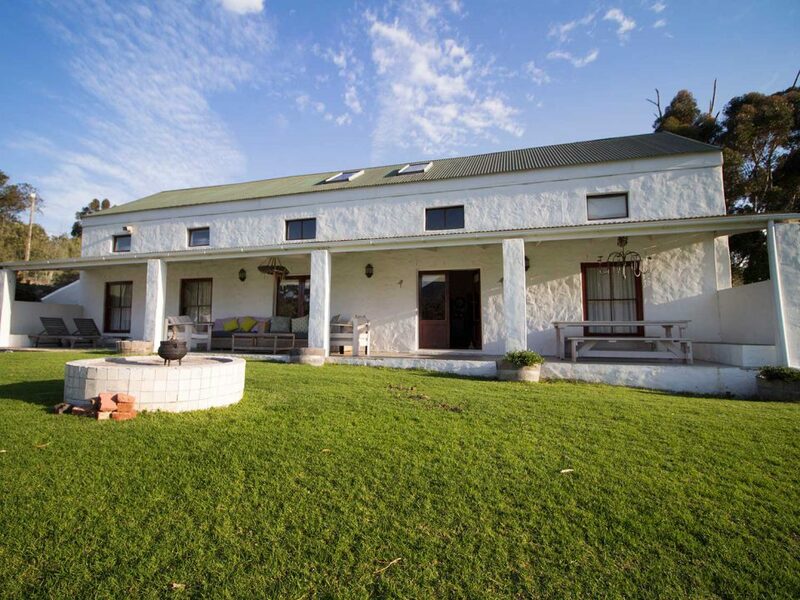 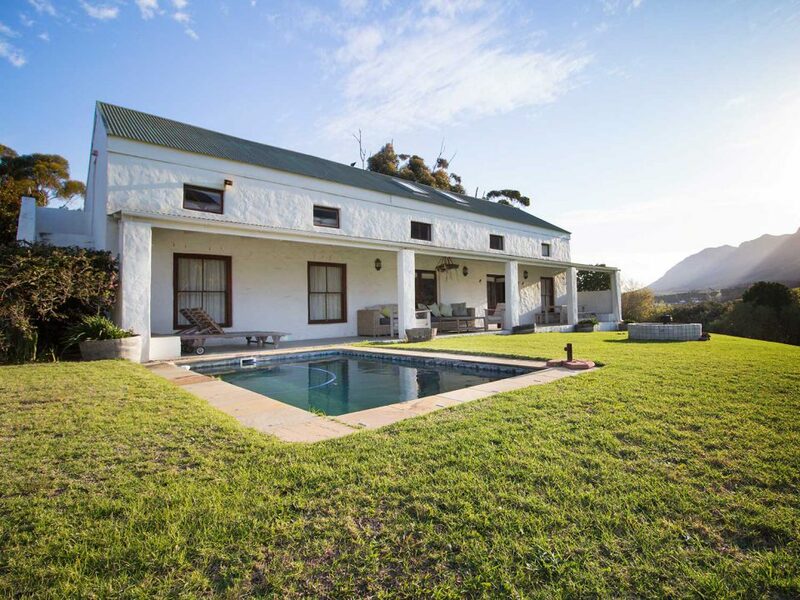 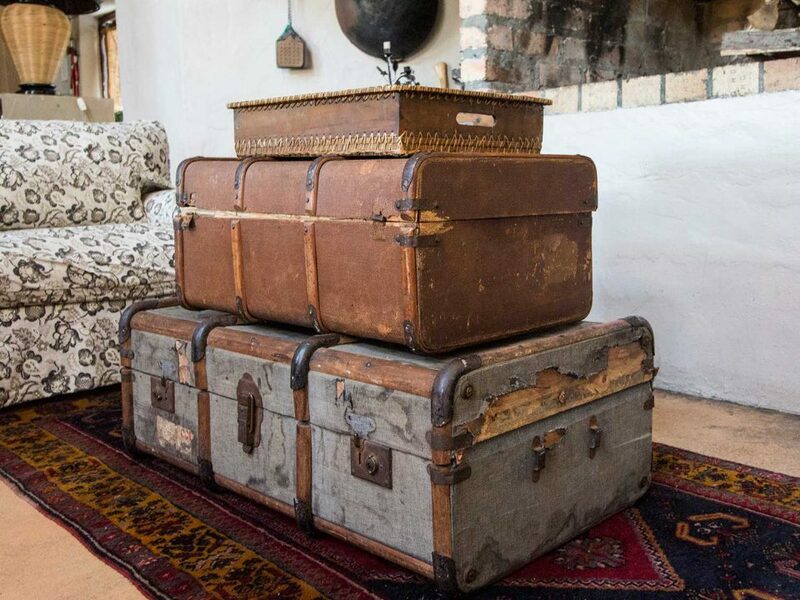 True to its name, the Farmhouse is a beautiful farm-style cottage situated on the edge of the De Werf estate. 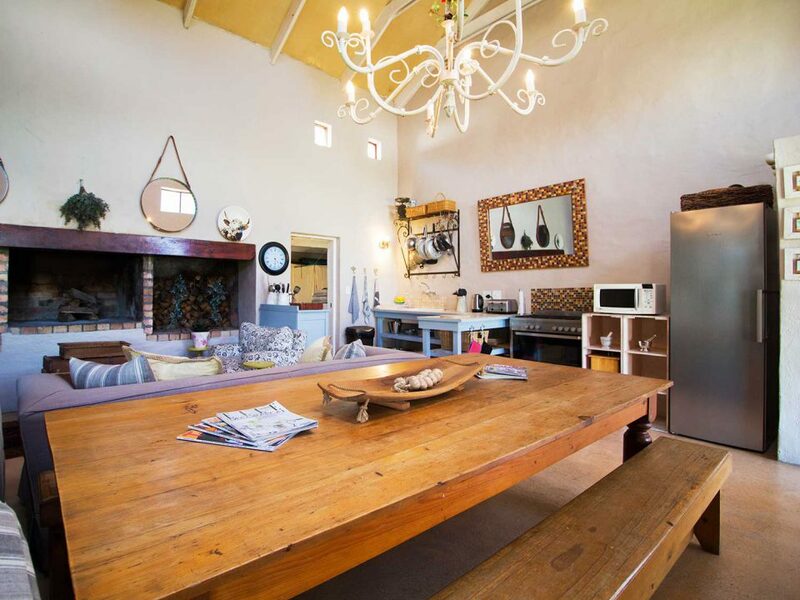 Walking in brings you into a large, open-plan living, kitchen and dining room that boasts beautiful vaulted ceilings and an indoor fireplace – perfect for winter nights. 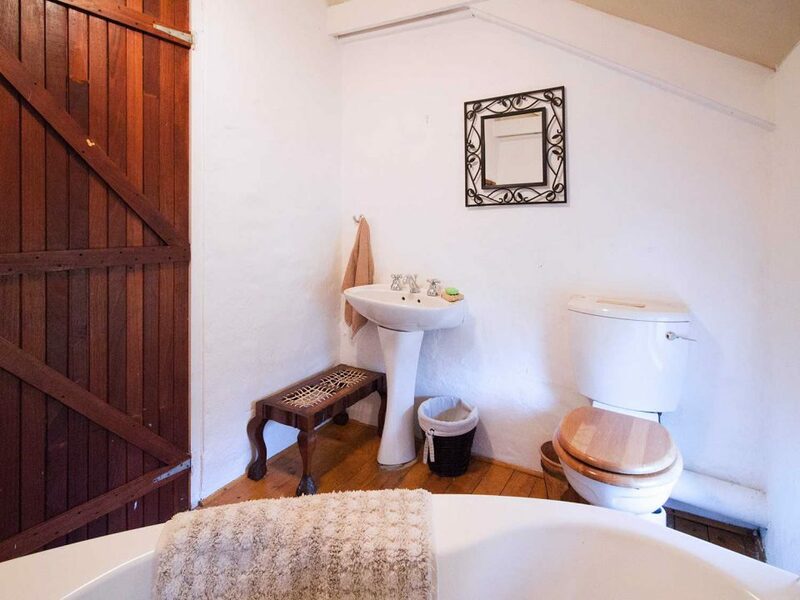 There is also an auxillary room off of the dining room with an extra fridge, dishwasher and tumble dryer. 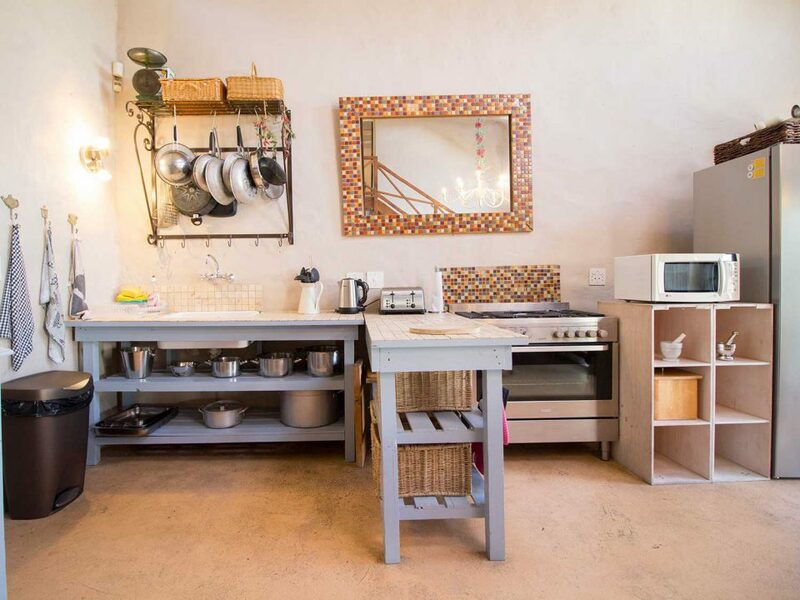 The kitchen is fully equipped with a gas stove and electric oven, whilst the lounge has a flatscreen TV and DSTV decoder. 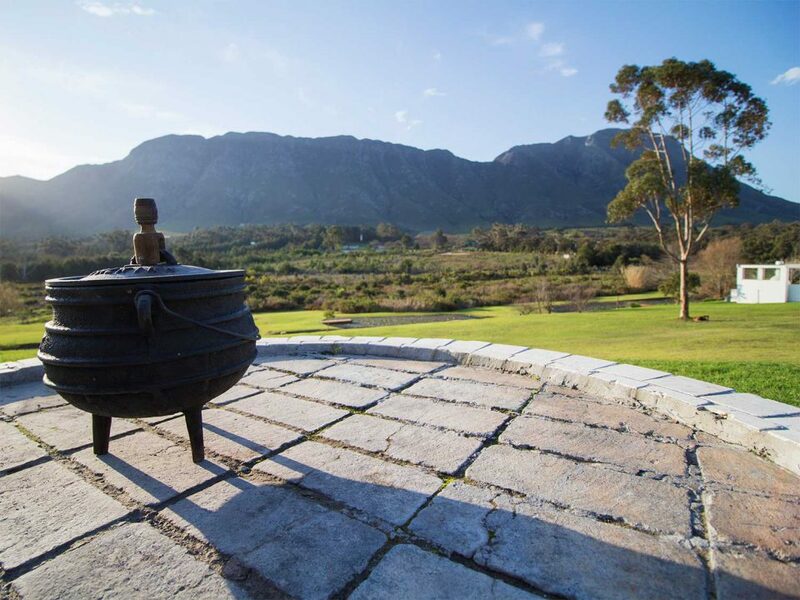 There is a large verandah area with seating, braai pit and swimming pool with sweeping views of the Babilonstoren Mountain Range. 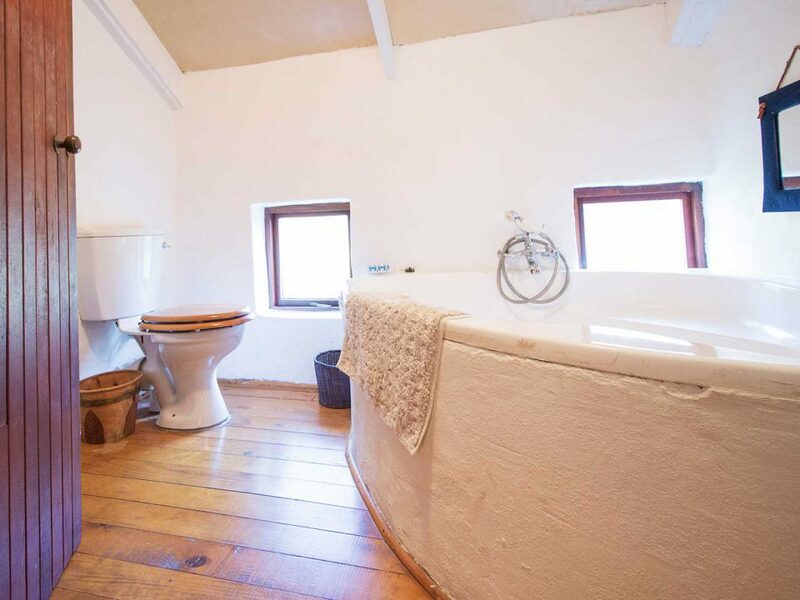 There are three bedrooms downstairs. 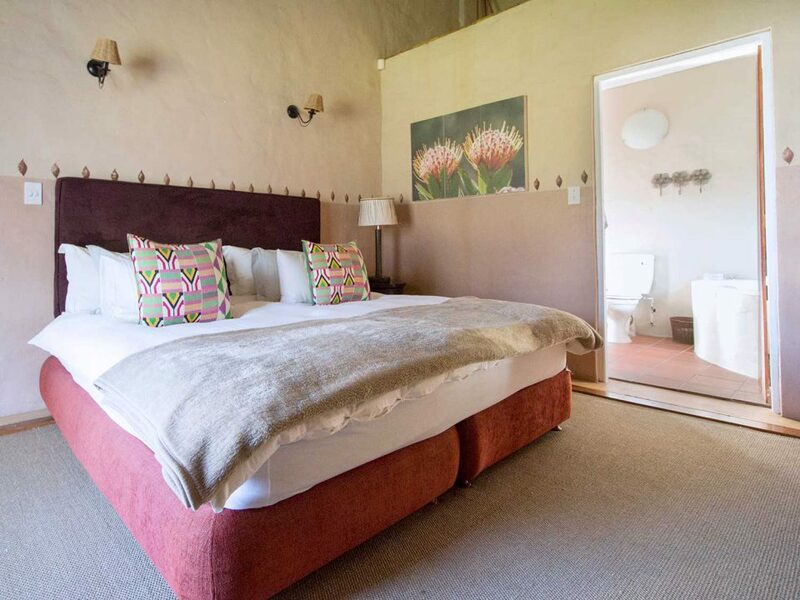 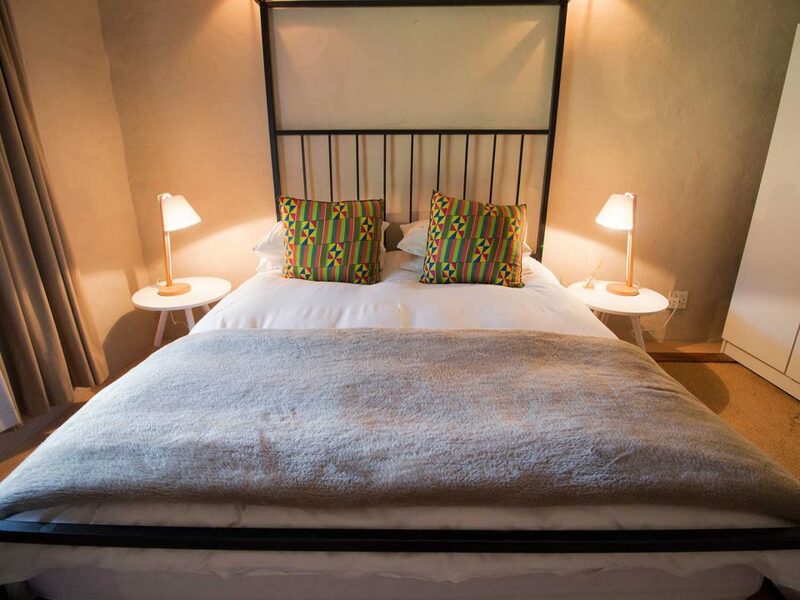 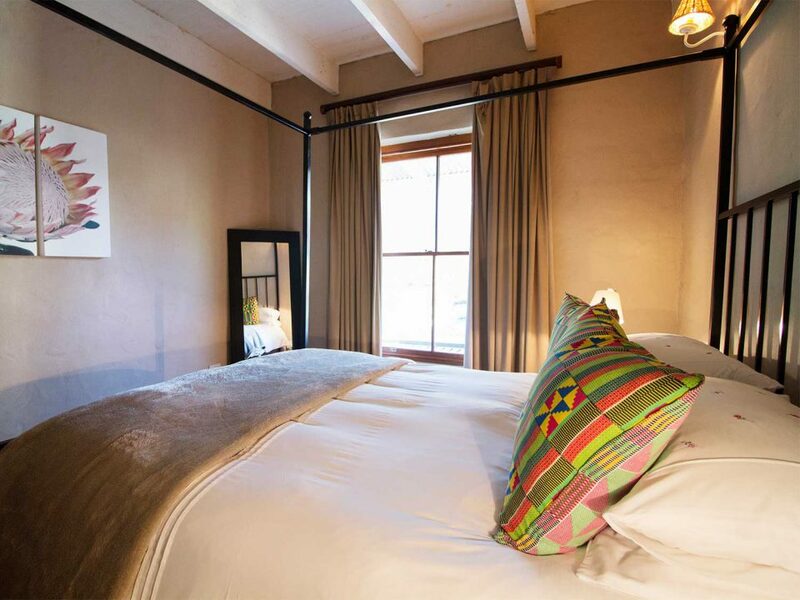 The main bedroom near the kitchen offers a comfortable double bed and ensuite bathroom. 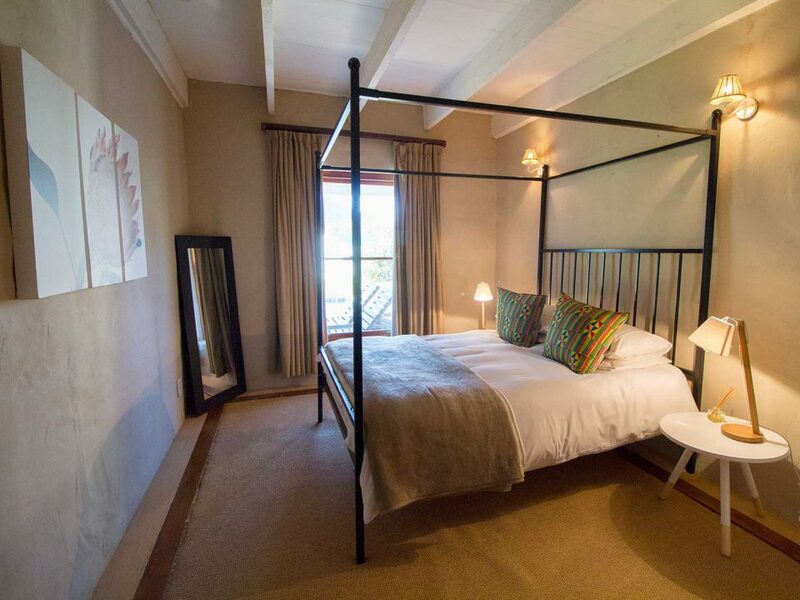 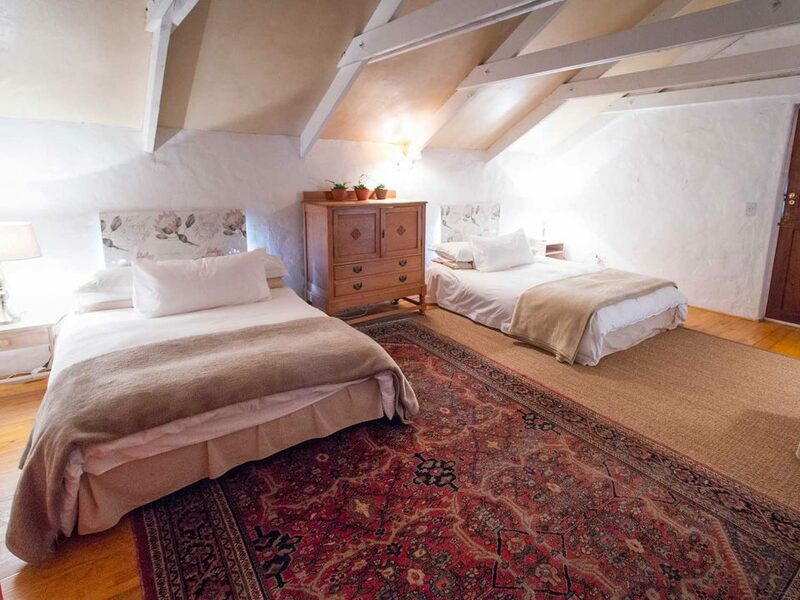 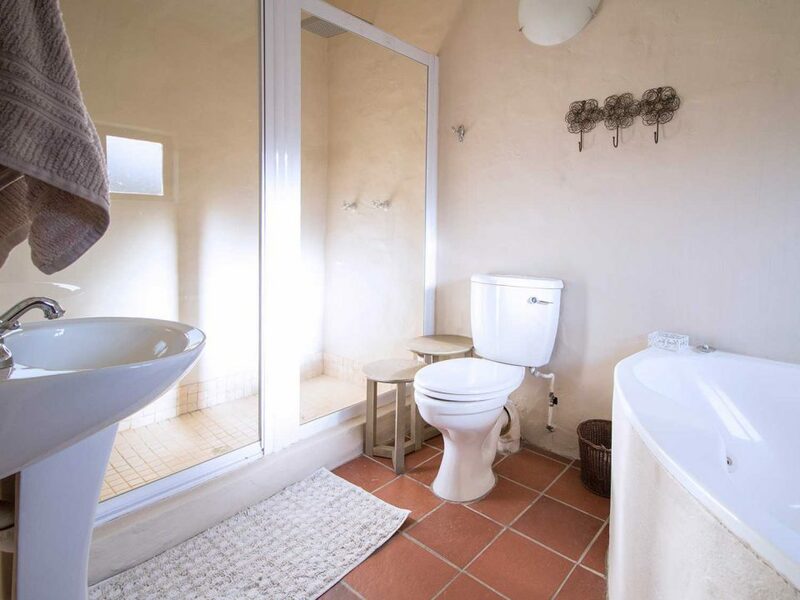 The two other bedrooms also offer cosy double beds, and share a large bathroom. 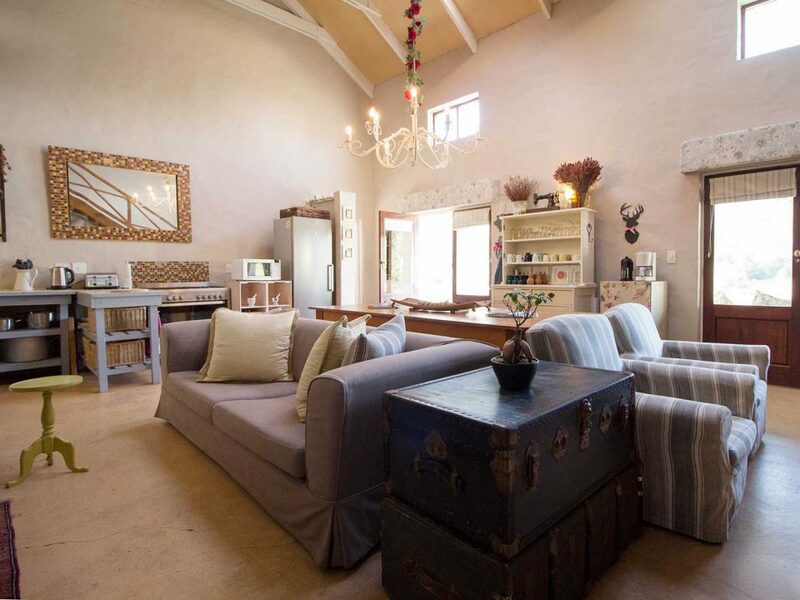 Upstairs there is a large loft area with seating, its own TV and DSTV decoder, as well as two double beds that share a full bathroom.